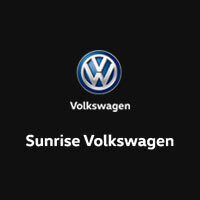 Find an incredible selection of pre-owned cars, trucks, and SUVs for sale at Sunrise Volkswagen in Lynbrook, NY – serving Rockville Centre, Valley Stream, Baldwin, Laurelton, and Rosedale. Our dealership carries a variety of different makes and models. Plus, you can search our pre-owned inventory online and limit your results by different qualifiers like make, model, year, price, and more. Be sure to see our pre-owned specials and pre-owned vehicles for sale under $10,000 to get a remarkable deal. If you’re not sure what type of pre-owned vehicle is right for you, keep reading to see the different types of vehicles you can find in the pre-owned inventory at Sunrise Volkswagen. There are so many variations to choose from, including sedans, compacts, hatchbacks, and sports cars. Pre-owned sedans and hatchbacks offer ample room for your family or your belongings, and they typically have a great fuel economy. Pre-owned compact cars are small to make city life simple while still catering to your every need. Pre-owned sports cars offer incredible power and an exciting driving experience every time you take the wheel. Pre-owned trucks are a great choice if you want power and capability. A muscular truck offers multiple benefits including a high payload and towing capacity, as well as a stronger engine for climbing hills or tackling off-road adventures. Maximize your space with a pre-owned SUV or crossover. These versatile vehicles offer more room for family and belongings, as well as amazing convenience and comfort features. You’ll find many pre-owned SUVs and crossovers already equipped with all-wheel drive, making it easy to explore your world.